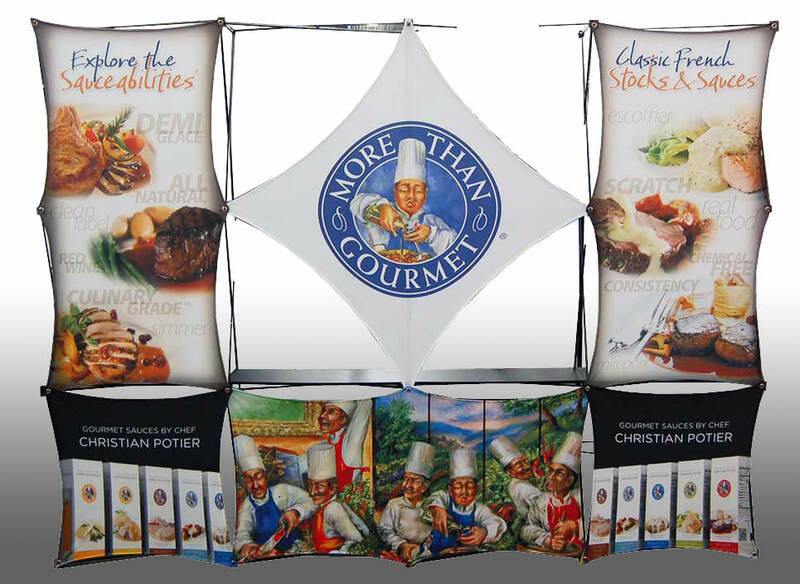 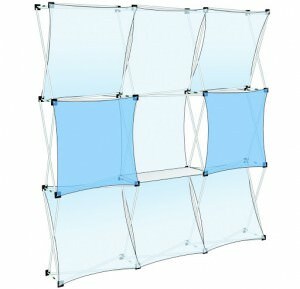 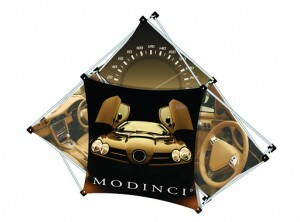 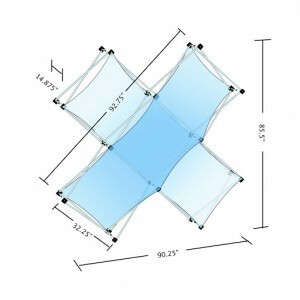 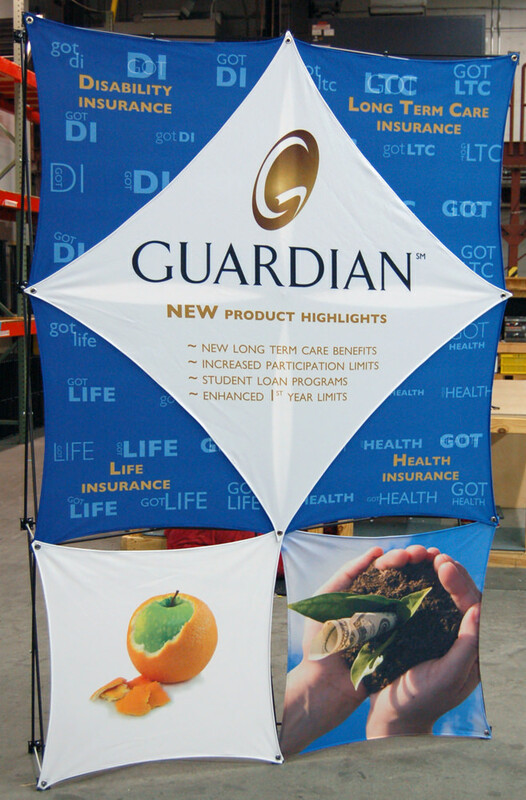 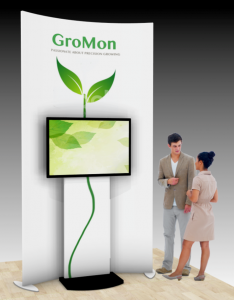 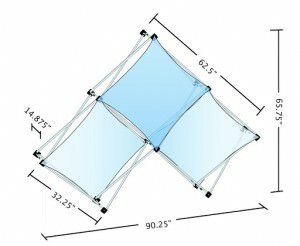 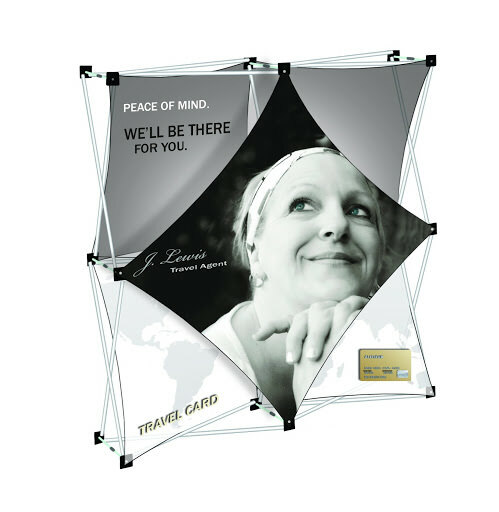 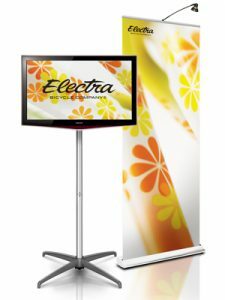 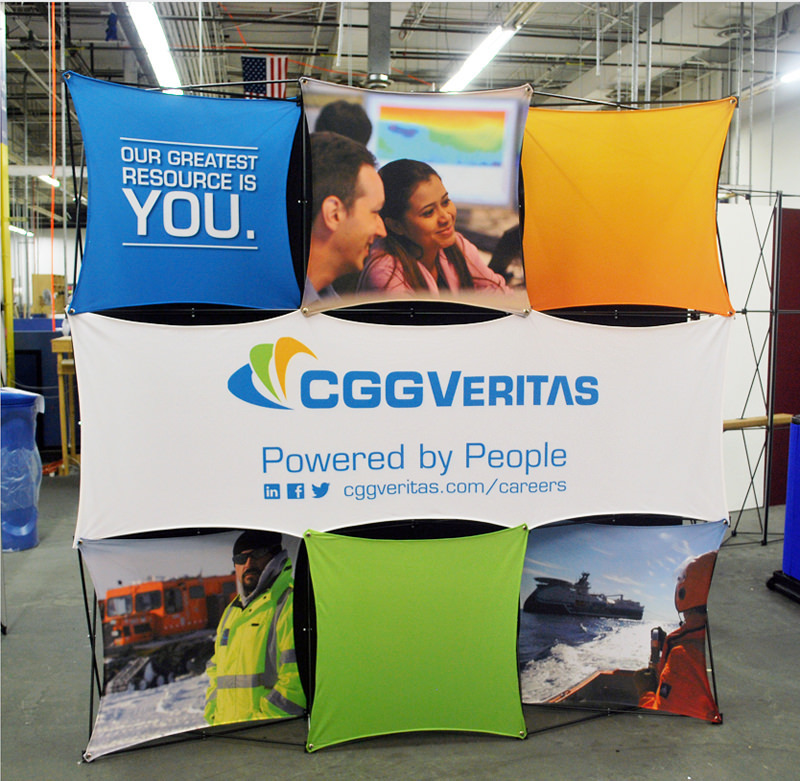 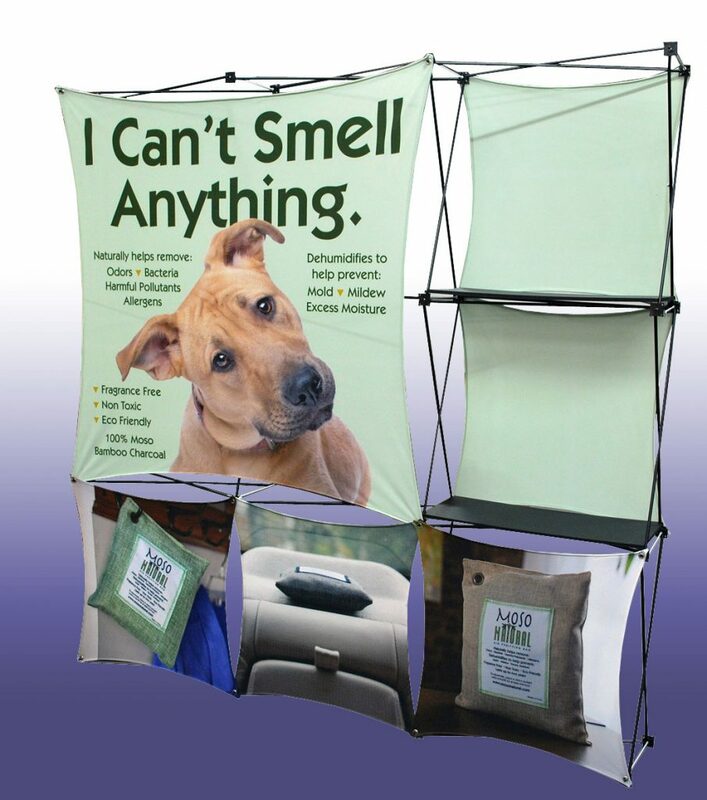 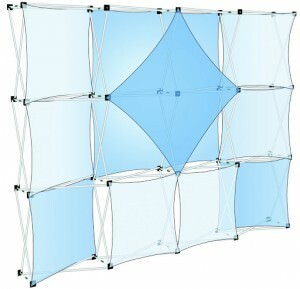 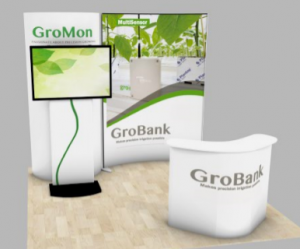 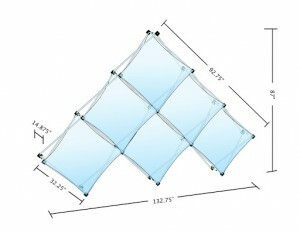 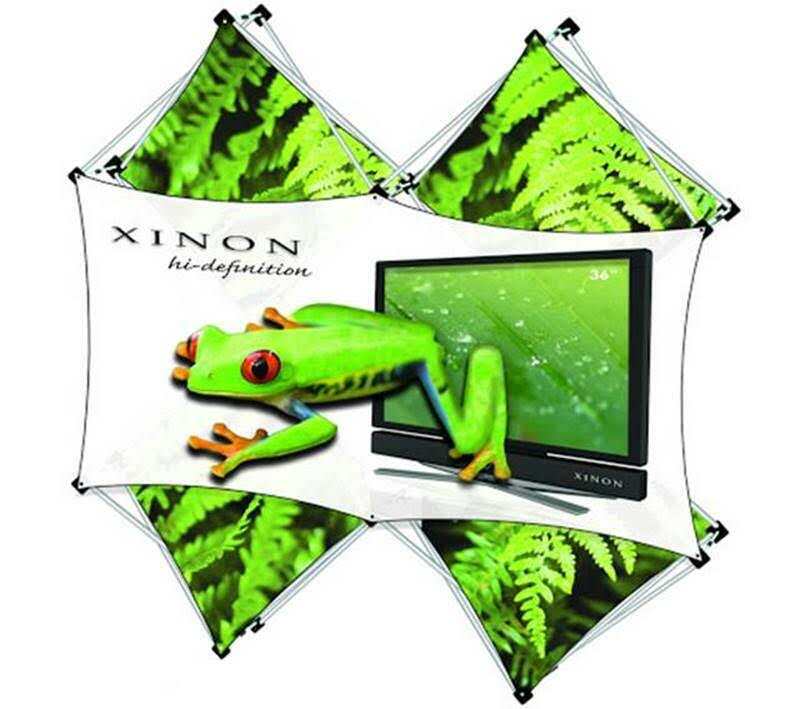 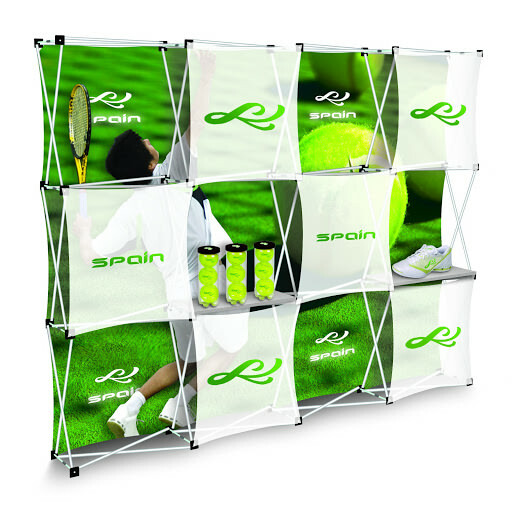 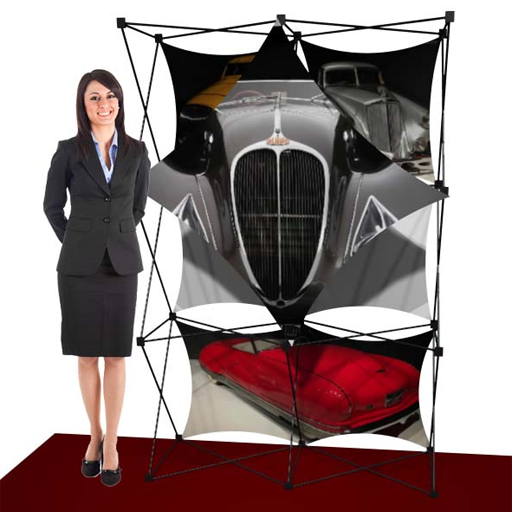 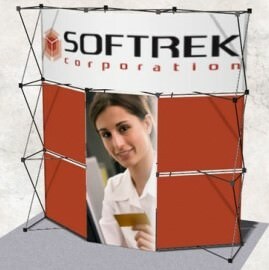 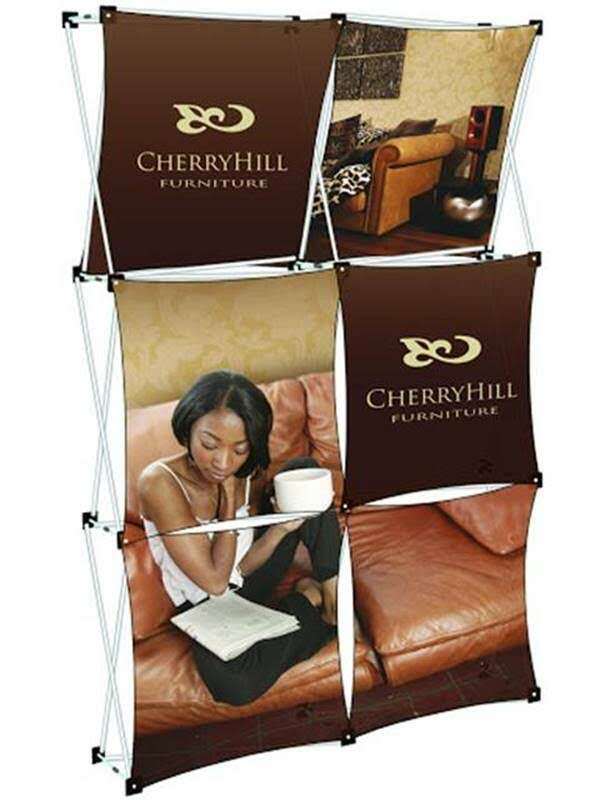 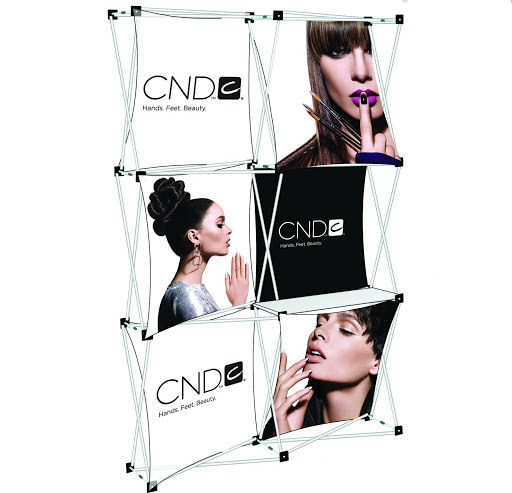 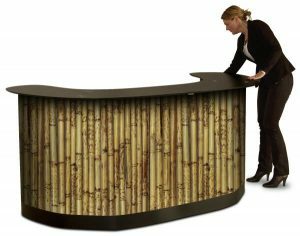 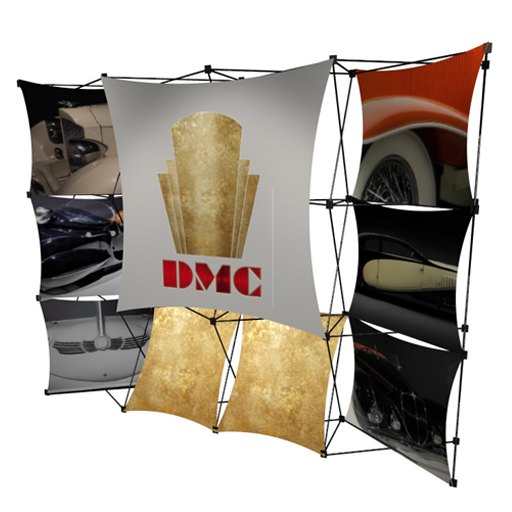 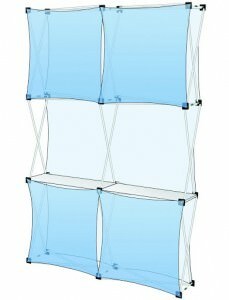 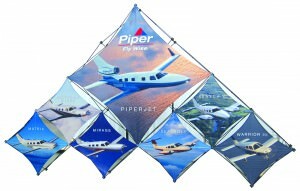 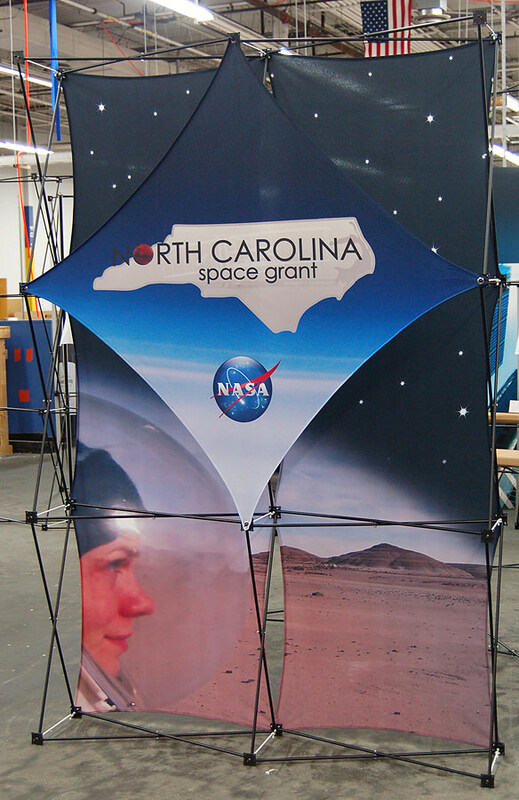 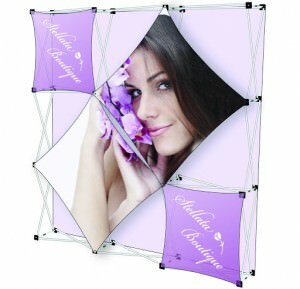 The Fabric Montage Pop-up, is the most versatile portable pop-up because you can change graphic sections of the overall display message without changing the complete graphic face. 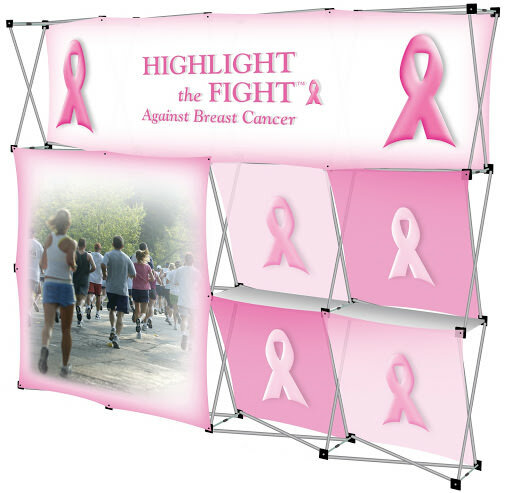 You can change sections of the display to fit each, different event venue or theme. 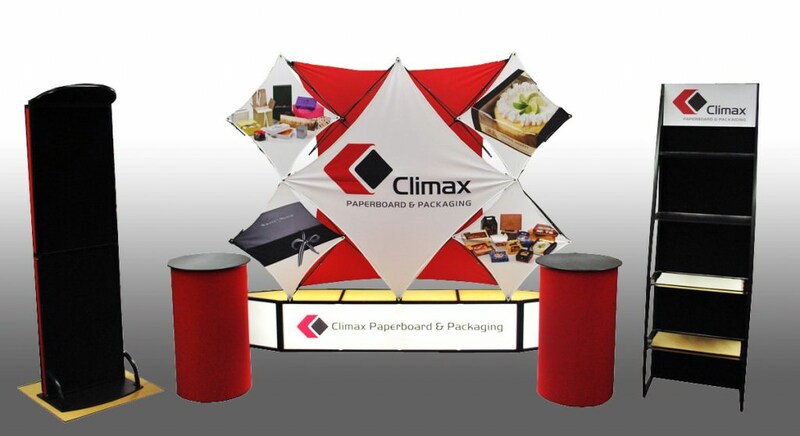 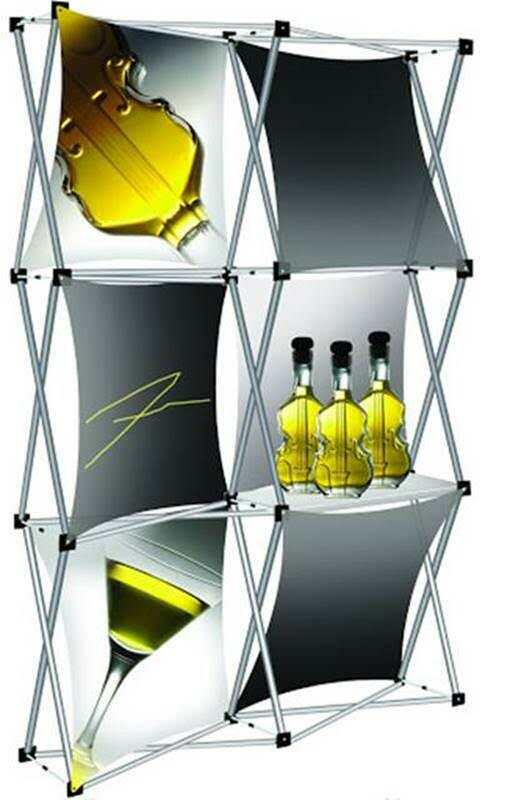 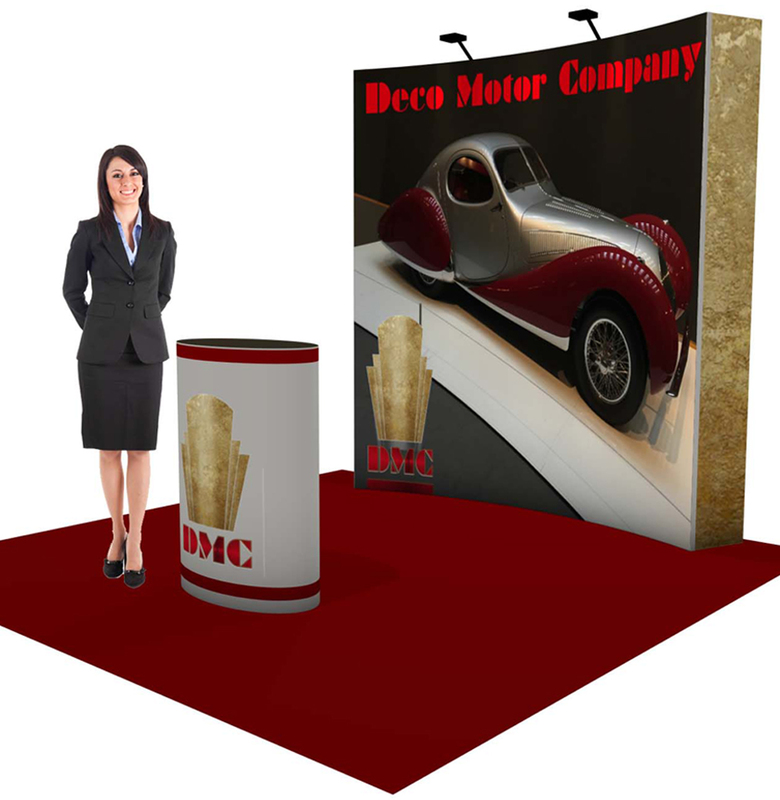 You can redesign and update the display at minimal cost, giving the display complete or partial new look to fit any presentation occasion. 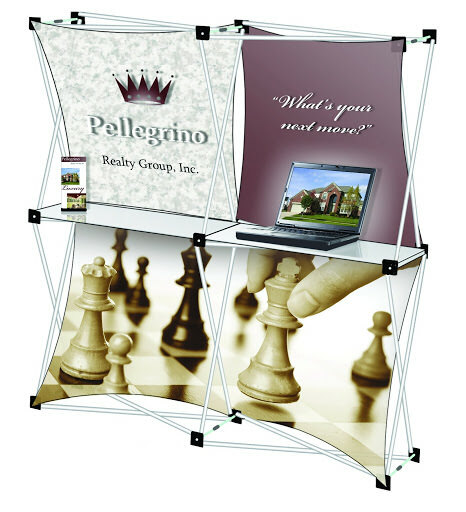 With a custom modification, you can even break down the frame to provide multiple locations throughout the event. 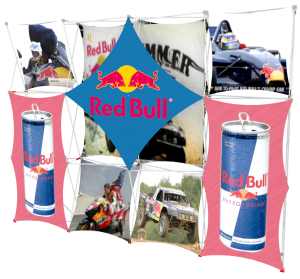 Montage makes graphic design easy. 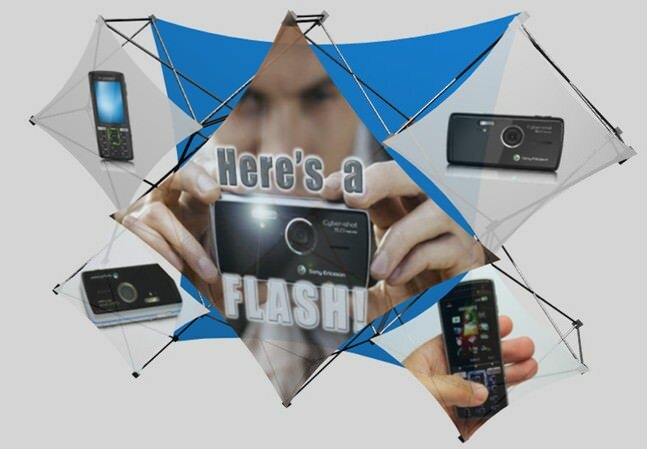 First select your main image/message and your supporting images. 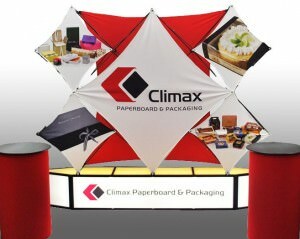 images as your message and event dictates. 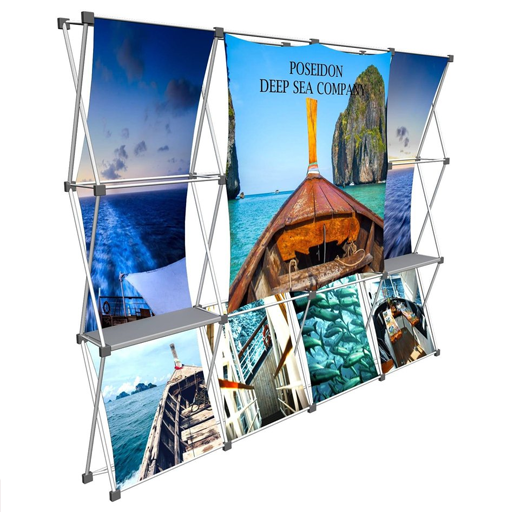 When designing your Montage graphics consider the background and foreground images to block out distractions behind your display. 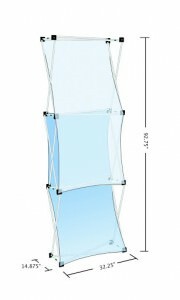 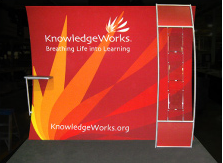 Background panel, with or without an image provides a 3-D effect. 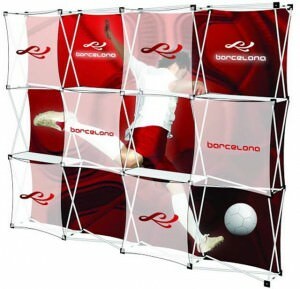 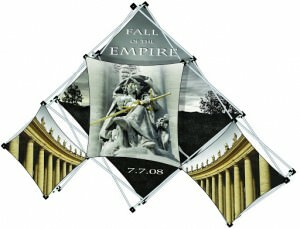 Prices shown include frame, graphics, and transport bag. 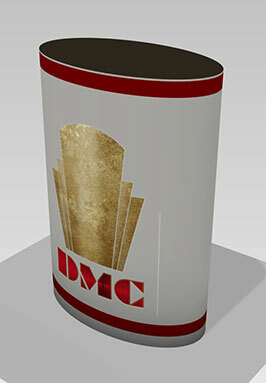 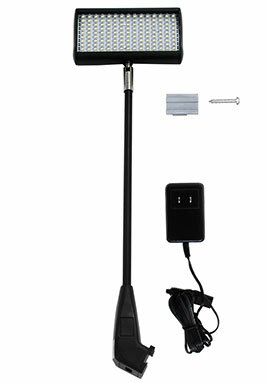 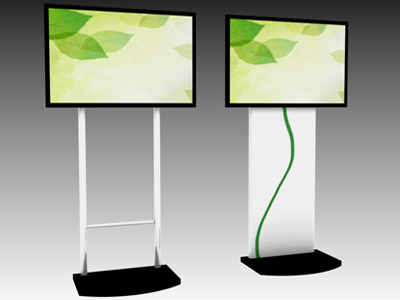 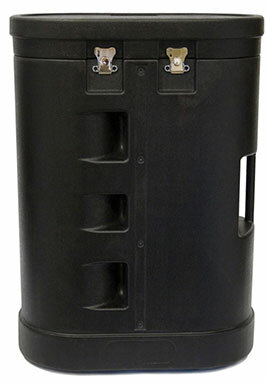 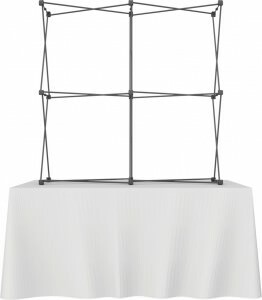 See below for spotlights, pedestal cases and video monitor stands. 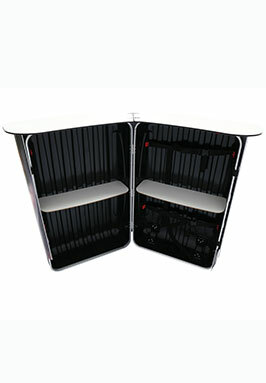 Custom components quoted separately. 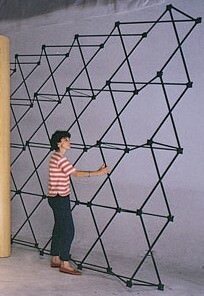 Note: Montage frame parts may vary with configuration design chosen. 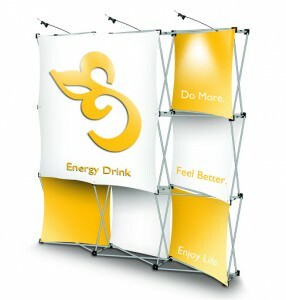 Graphics can be simple AND creative with the Montage. 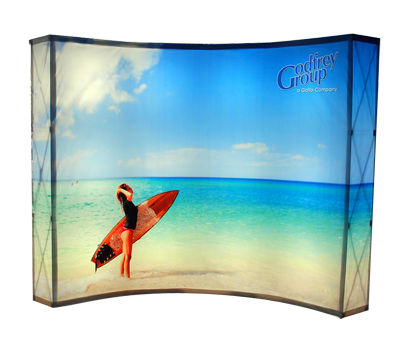 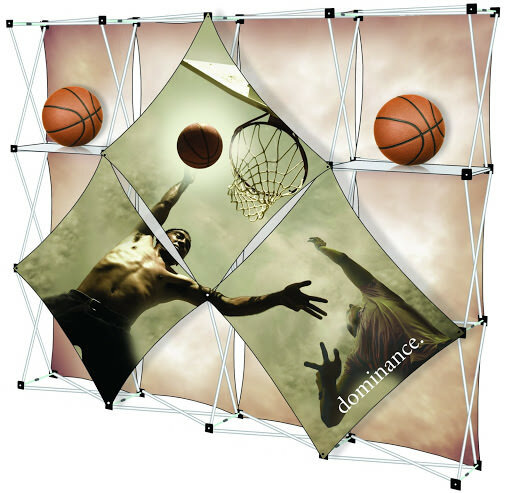 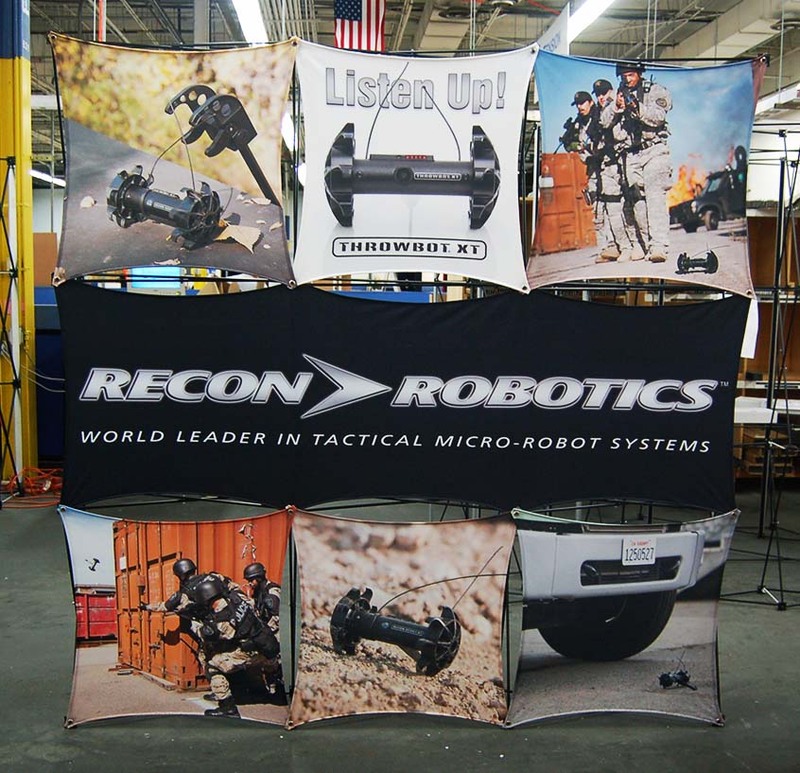 Make a Giant Impression with our custom (10 ft wide X 10 ft high) Montage. 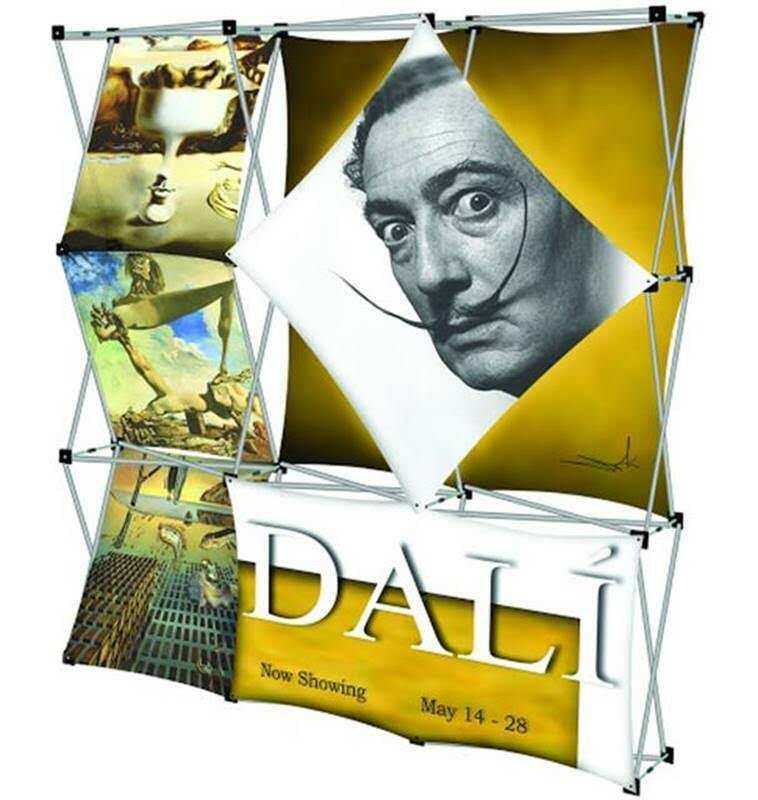 Triangle graphics and hidden LED lights add a theatrical theme to Dali on 3×3 Pop-up. 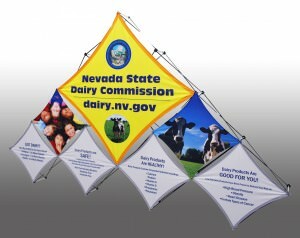 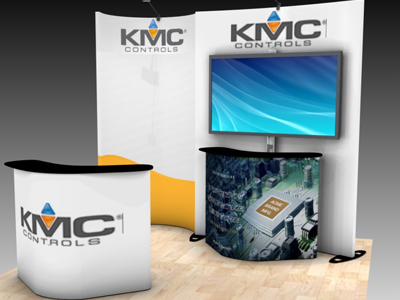 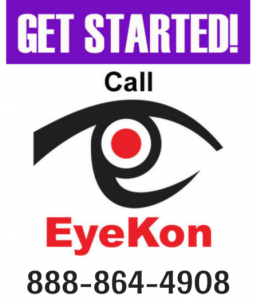 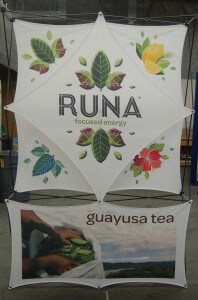 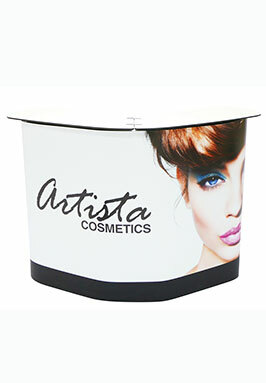 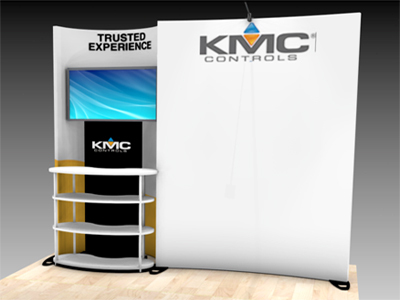 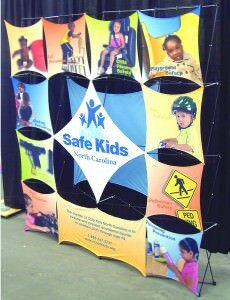 Swap out graphic panels to fit the venue or message to target your market. 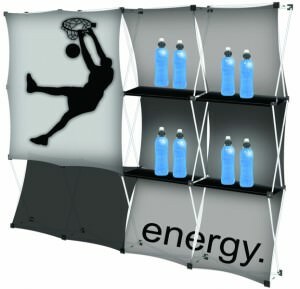 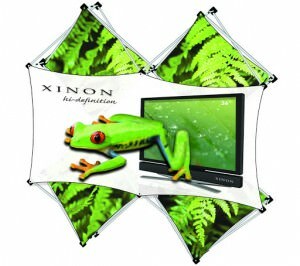 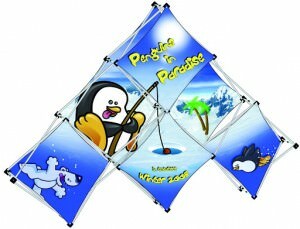 Background graphics support a motif & give a 3-D tone to an “X”frame Pop-Up. 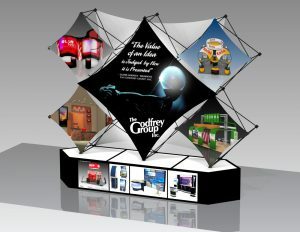 Cool in every way, hidden LED lighting (without the heat) provides dramatic down lighting to subject matter. 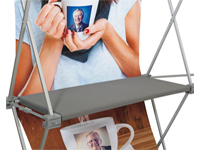 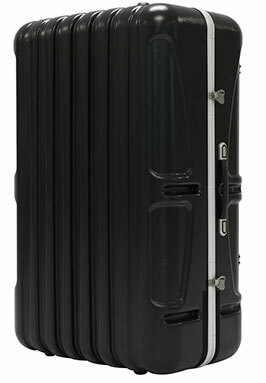 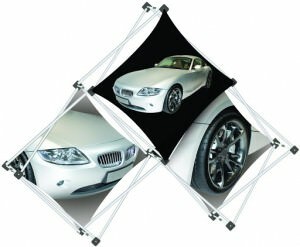 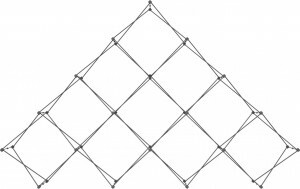 A large product image is reinforced by smaller images to highlight product features.